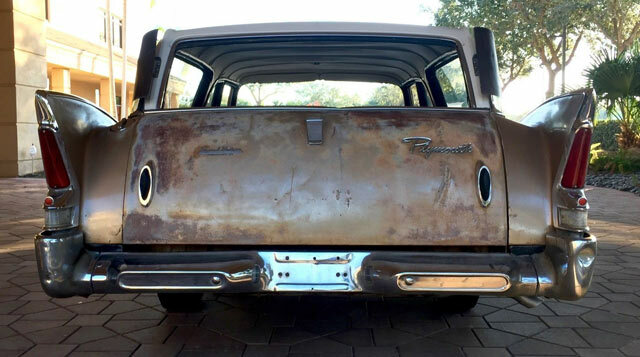 1960 Plymouth Station Wagons are a pretty rare site as it is so when I clicked on this Ebay find I had to do a double take. 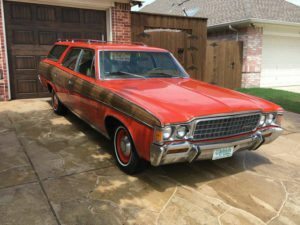 This isn’t your everyday rare Mopar wagon this is the super rare two door version of which only five are know to exist according to the seller. Turns out this isn’t the first time this finned masterpiece has shown up on Ebay. In January of 2017 it was auctioned off as you can see on this Barn Finds listing. 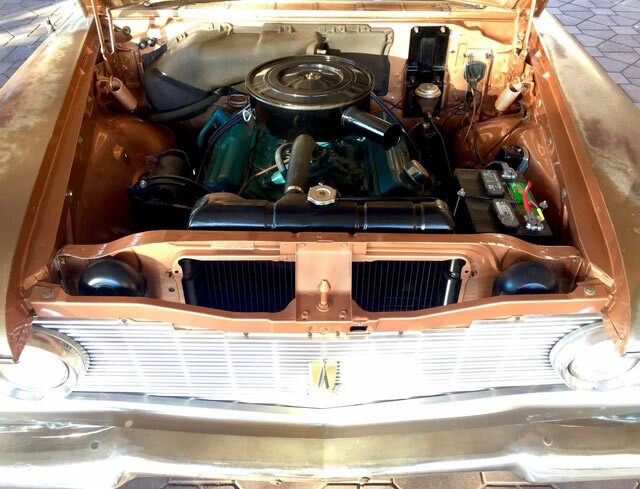 Take a look at the January 2017 listing and you can see a ton of work has been completed since then including a complete rebuild of the 318 V8. What was a rather frightening engine bay with a complete but non running engine we now see a glimpse of what hopefully the rest of the car will become. The brake system and wheel cylinders are new along with a new exhaust system. The car is said to said to start right up and drive well. 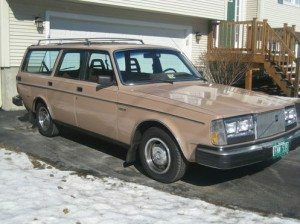 The seller has also painted the white areas on the exterior but thinks the patina should stay with the car. 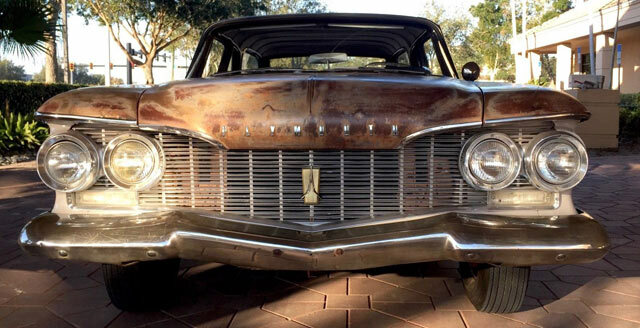 Personally I love a nice car patina but for this one I would love to see restoration completed with new copper paint along with having the chrome and trim pieces refinished. 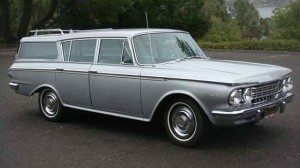 There was some wild design coming out of Detroit in the late 50’s and early 60’s but few car designs were as outrageous and bold as the Virgil Exner offerings from Chrysler. “Suddenly it’s 1960” was the slogan for the 1957. So futuristic they could time travel three years ahead! 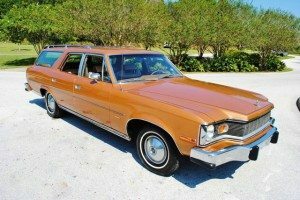 It would be a foolish slogan to use today as cars typically evolve slowly but in an era where cars were completely redesigned year to year 3 years was huge! 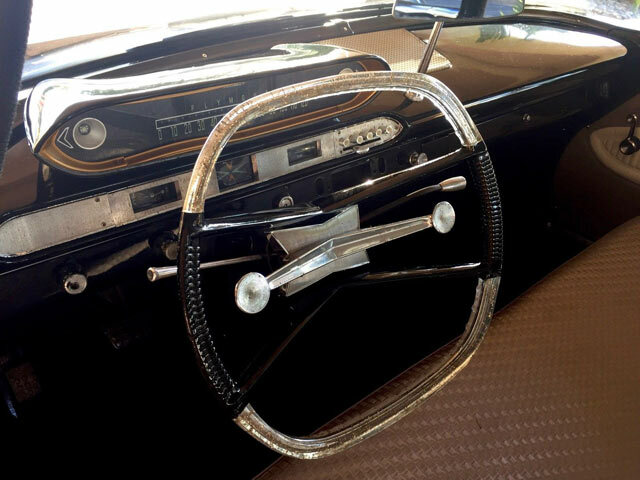 The rectangular Lucite steering wheel, floating dash, push button transmission and dash mounted mirror are more futuristic styling elements that were pretty much unique to Chrysler. 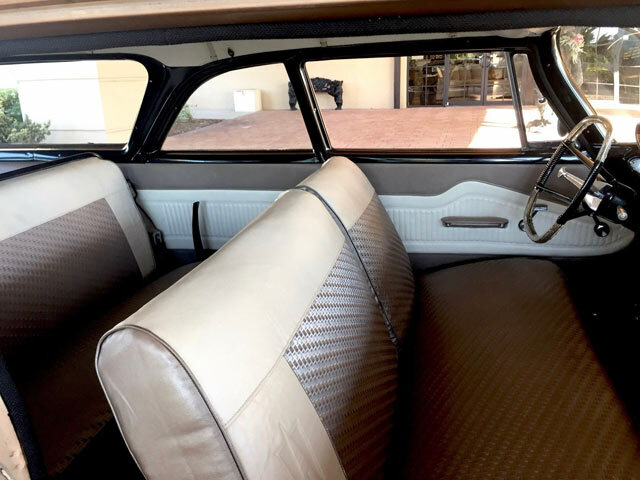 In addition to the aforementioned Mechanical work that was done, a NOS interior was installed. Less than a year form when this was rescued from a Missouri field, the bulk of the dirty work has been finished on this fine Mopar. As of the writing of this post and on the first day of the auction the bidding is very lively with the reserve met and the high bid at $15,600!